Anxiety&Lipstick : VIB rouge, embracing shopping alone and the beauty of an early morning. VIB rouge, embracing shopping alone and the beauty of an early morning. If I could pass on my #1 tip on my secret to a good day, its waking up early. The art of being alone in a house and quietly making myself a cup of tea in order to wake myself up. I've never been much of morning person; however when I do manage to pull myself from my warm nest, I find I enjoy my day much more. I pulled myself together and by the strike of 9 am I was up and out the door. Two words ring in my head as I drive Cruella De Vil style down the road salivating. Pay Day. Tunnel vision as a plot my next moves and every swipe with my debt card. When I die, I hope heaven is like Winners. 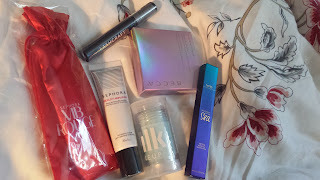 I don't even have to buy anything- I just need to see some familiar high end brand usually found at the mother ship (Sephora) and I feel like I am truly a winner that day. Like an old fisherman telling all my friends and family about an insanely great deal that I did not catch. The price comparisons grow bigger and more grandiose with every rendition of my story. Winners is home to my beauty blender rip offs (because of all the stuff I buy, I refuse to spend $30 on a sponge), new and exotic Korean skin care, long forgotten MAC pallets, discontinued Cargo sets, serious cool lippies and of course- my stock pile of OPI polishes. With purchases in hand (sponges, glossy top coat, eyeliner sharpener- Duel ended!) I set off again across town to the beacon of hope. The mother ship. The place that is synonymous with me for buyers remorse. 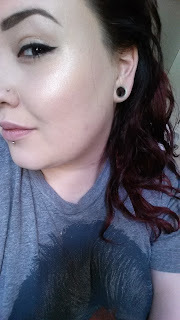 Sephora. I have 1 Sephora where I live. The next one is in a tiny town 2 hours away up island. The general feel of the store is angelic like any other- however it is a meeting place for us like minded individuals and thus becomes Very crowded Very quickly. There is the usual crew, women young and old being trailed by their lost and oblivious significant others whom are usually the designated coffee/purse/bag holder because this is important and swatching needs BOTH hands, the youthful crowd who are fawning over the latest product Nikki T suggests, the people who study the website and beauty influences religiously (guilty) and are trying to push past to grab whatever the hell is on their very calculated lists, the people are the beauty bar trying this and that and of course- without fail- the first timer overwhelmed by the experience and is probably crying in the fragrance corner. I am alone. But I also know I am alone in a safe place. I don't have to rush to keep up with people nor do I feel pressure to hurry up and make up my mind already. I am also known for scooping up lots of things, packing them around the store for a good half hour and putting them back- to really decide if I need them or not. I feel like this is good for myself and really helps the process of purchasing in an overwhelming store easier so I don't have to come back all embarrassed to return things. * Being alone in an environment you can trust will go a long way to help support your mental health. It might give you the safety blanket you need to start conversations, ask questions and take baby steps to being alone. 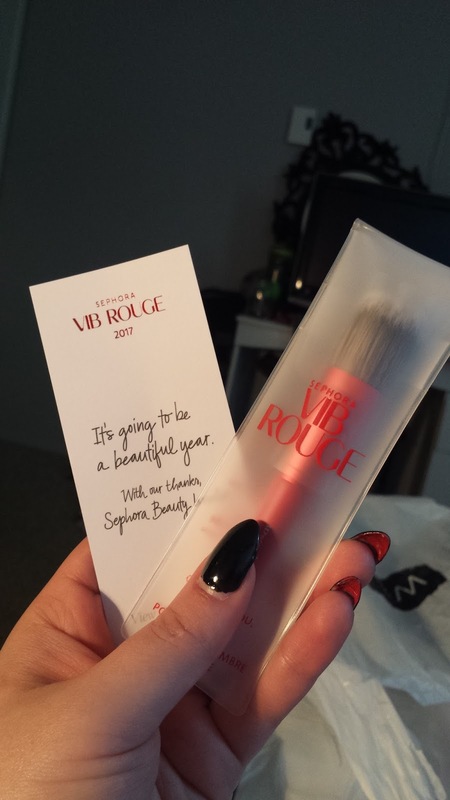 "Congratulations Natasha, you've reached VIB rouge!" aka- you've spent $1,000 in a calendar year on makeup. Sick. I'm not going to lie to you, I've been looking forward to this moment and for a split second I felt like I had accomplished something great and bold here. I Natasha, have managed to go outside my comfort zone and have successfully "TREAT YO SELF" enough times over to be special. Sephora VIB points program: a love song for consumerism. Kimberly Clark started doing ANTI-HAULS and let her VIB rouge status expire- if you have not watched these videos I HIGHLY RECOMMEND them. They are truly eye opening and even tho I still consume like a MO FO- I have changed my approach and how I learn about a product before I buy. It's AWESOME! Waking up early >> Being alone >> strengthening my social skills >> Reward! Very enjoyable. It makes me think that at a certain point you must become your own best coach. The rest of your people are cheerleaders.